great article on snook Jim! 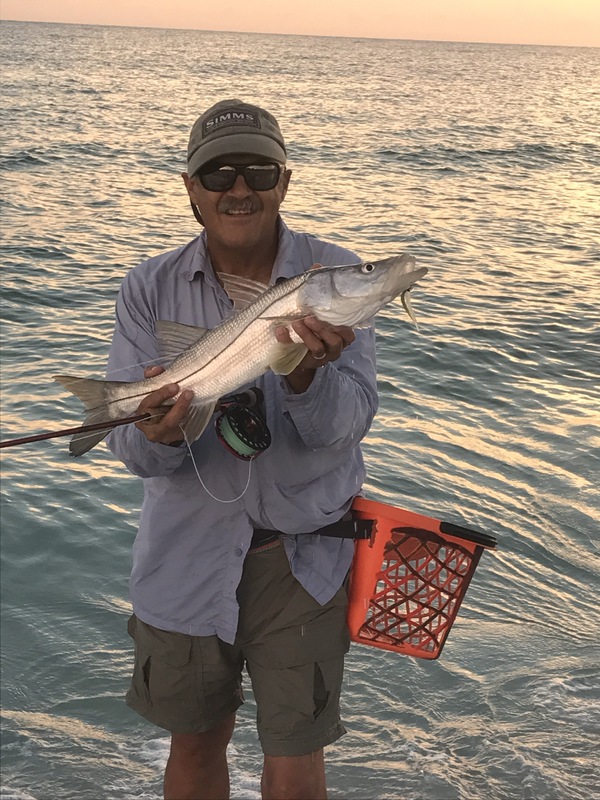 I think I have told you but I spent a dozen or so weeks in July beach fishing for snook from Captiva up to Boca Grande and what you write is exactly what I experienced. My favorite snook event of all time was one morning when I had worked myself out through the first “through” and was casting into the second. I happened to glance over my shoulder towards the beach and saw this big snook cruising toward me, just a foot off the sand. I made a good cast and the fish hit. It jumped…. and landed 3 feet up on the beach! I walked up and landed him. First time I ever caught a fish when I was in the water and the fish wasn’t! Snook are great! Wow. That’s a great experience. Am hoping the waves will calm down some more. Would love to fish some of those more southern beaches, take another vacation. What flies do you like to use?